Our little troops are finally opening their eyes and checking out the big bad world for themselves. It must be very strange being blind at birth. I'm sure things will get much more interesting when they can see their environment. These kittens sure are cute. 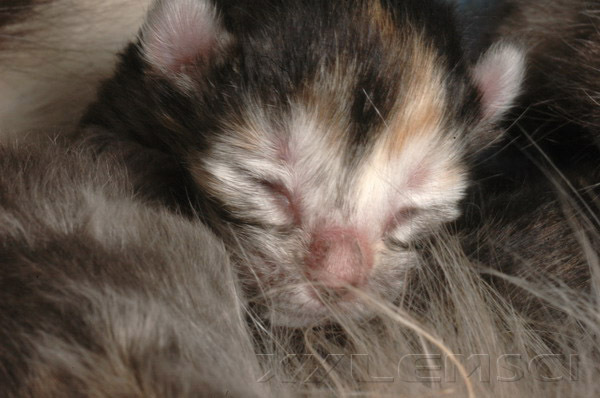 Our office mascot, Pebbles, gave birth to five teeny tiny cats yesterday evening. Nearly a day later and they have all survived and are healthy and vigorous. At first I wasn't stoked but am warming to the idea of half a dozen cats in the house for a bit. 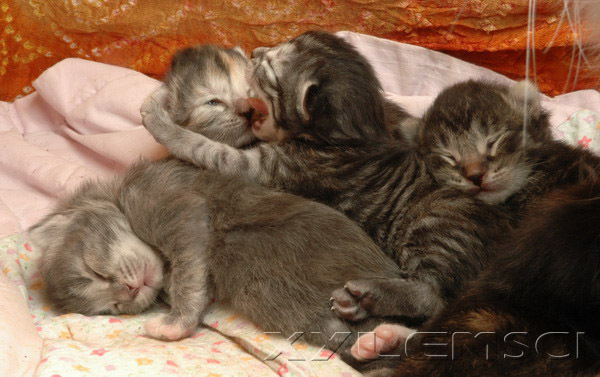 Kittens are just so darn cute. 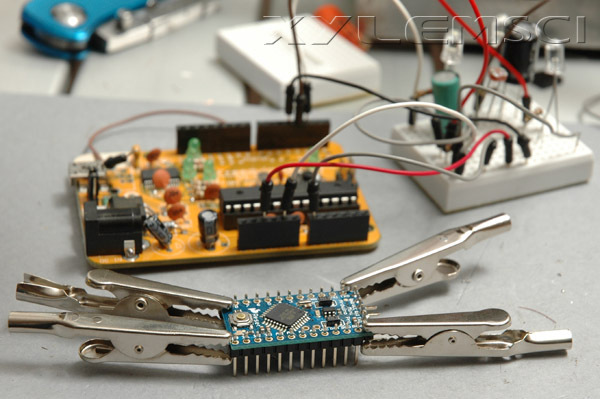 So they call it the Arduino Mini Pro and it has pretty much all the important capabilities of a regular Arduino, it's just much much smaller. I'm planning to use it as a discrete brain in a couple envisioned projects. I think the mini pro even has twice the memory, a whopping 328Kb. In the photo it has some alligator clips to hold the headers in place while I solder them on. That's the regular sized 'duino in the back hooked up to a "solderless breadboard", which is an awesome invention.